9:00 to 5:00 Seven days a week. 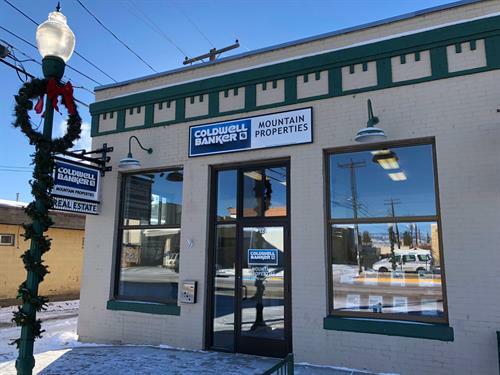 Coldwell Banker Mountain Properties – Crested Butte was formed in the fall of 2018 by combining the two oldest real estate companies in the valley. The brokers and offices of Red Lady Realty and Coldwell Banker Bighorn Realty merged to create a new force in real estate. You have many choices when it comes to selecting who will help you navigate the Crested Butte area real estate market. Whether you are buying or selling, it is one of the largest financial decisions you will make and it’s important to choose your guide wisely. The brokers of Coldwell Banker Mountain Properties have deep roots in the community. The Gunnison Valley real estate market is strong with buyers from a more diverse geographical range than we have ever had and regionally low prices, but also a shortage of certain types of properties available for sale. You need expert advice and guidance to make the most of your Gunnison and Crested Butte area real estate investment. Put the knowledgeable brokers at Coldwell Banker Mountain Properties to work for you.